White House national security adviser John Bolton on Tuesday dismissed an EU plan for a special payments plan to circumvent US sanctions against Iranian oil sales and pressed the SWIFT global payments messaging system to rethink dealing with Tehran, Reuters reports. 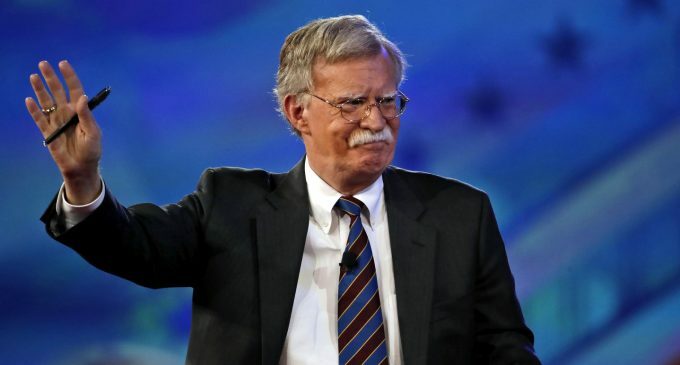 Speaking at a conference, Bolton also said the United States would be “aggressive and unwavering” in enforcing economic sanctions on Iran that are resuming after Washington withdrew from the 2015 Iran nuclear deal. He said the United States would not allow the European Union or anyone else to undermine them. In a statement after a meeting of Britain, China, France, Germany, Russia and Iran on Monday – the countries still in the deal, the group said they were determined to develop payment mechanisms to continue trade with Iran despite skepticism by many diplomats that this will be possible. Bolton also said the United States expected Iran’s oil customers to slash their imports of Iranian crude to zero by Nov. 4 before US sanctions kick back in on Nov. 5. US officials have sent mixed signals on whether the oil purchases needed to be eliminated by then or simply significantly reduced. Iran was barred from SWIFT, the Belgium-based Society for Worldwide Interbank Financial Telecommunication, in 2012, crippling its ability to make international bank transfers crucial to foreign trade. After the 2015 nuclear deal, it was reconnected, but European officials have said they expect the United States to apply pressure on SWIFT to once again cut Iran off. The post Bolton: US Will Be “Aggressive and Unwavering” on Iran Sanctions appeared first on MintPress News.